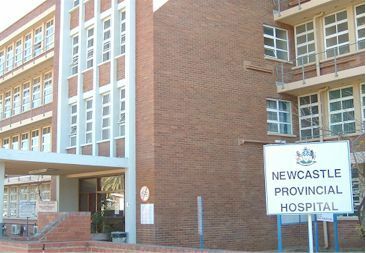 Newcastle Provincial Hospital is both District and Regional Hospital. It is situated at 4 Hospital Street, Newcastle, under Amajuba Health District (DC 25), walking distance from CBD. The Hospital has 186 beds. Our beautiful hospital provides” home away from home” accommodation for staff. Our wide variety of accommodation, range from nurses’ home to hospital houses and flats. Newcastle Provincial Hospital is the best when it comes to quality services, care, accessibility and reliability. We have variety of patients from Amajuba Health District and other Health Districts. Our professionally helpful nurses and doctors are dedicated to hard work and adhere to our Vision, Mission, Objectives, Batho Pele Principles, and Patients’ Rights. We always strive for excellence, which is our goal.